Myriads of mysterious and mystifying tales have multiplied the myths about the Mastiff, the Molossian and the Molosser. Imaginative yarns about the origins and adventures of heroic and formidable dogs keep people enthralled and fascinated for millennia. Legends and sheer fantasy repeated so many times that they eventually became gospel; one author after another copy-pasting what has been previously claimed without proof, some – with a few brilliant exceptions – without cross-checking, questioning or research, merely regurgitating and elaborating upon pure figments of imagination with little or no basis in reality and without a single shred of evidence. Grains of truth buried under mountains of sparkly romantic fabrications, purebred dog ancient histories are often pure literary fiction. Entertaining, sometimes, but of no merit beyond amusement. Patriotism (to put it mildly) is responsible for a lot of embellishment in the ‘official’ versions of ‘national’ breed histories and further ‘purification’ from foreign influences and claims that are swept out of sight. In reality though, the canis familiaris story is an intricate part of human history, a trail of migration, nomadic travel, transhumance, exchange, sharing, war and peace between a plethora of interdependent and mutually influenced cultures. 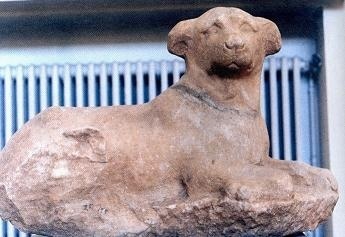 As scientific research gradually sheds more light onto the origins of the dog, old myths still die hard. Nowadays the internet adds more pulp fiction to the Big Dog Epic genre. Of course we admire the imposing size and power, the striking features and remarkable traits of these impressive companions and workers. But why do we feel the need to ascribe ancient histories to each and every breed? Why does every big dog have to be a “legendary” mastiff? Sure, that adds glamour to our own story and place. Their stature and strength inspired awe to many – from kings to shepherds. So it came to pass that every kind of big strong dog, cur or ‘pure’, rough or noble by association, was called a ‘mastiff’. But that was then – long before the study of dogs became a respectable field of sorts; nowadays we ought to be able to tell our mastiffs from our hounds! Neither all big powerful dogs are mastiffs, of course, in case the obvious needs to be stated, nor all breeds that were once crossed to a mastiff are mastiffs – that’s elementary, yet amateur historians and aficionados are still ignoring genetics, refusing to acknowledge that genotype and phenotype are not the same thing, or that a very small genetic ‘tool-kit’ is responsible for all the diverse morphology of the dog; they prefer to invent fanciful fables of chivalrous medieval splendor and passionately plea the monumental antiquity of their incomparable breeds of choice – mastiffs that fought on the side of the Great Alexander or Genghis Khan, canes pugnaces that defeated tigers and elephants in single combat and were as big as houses. Well. Let me restate the obvious then. The Irish Wolfhound is a large powerful dog – but it’s defiantly not a mastiff. There are breeds in the FCI Herding Group which would be far more at home in the mastiff section of the second group – and breeds in the mastiff division that definitely don’t belong there …so serious cynology still hasn’t developed immunity to fairies. We shouldn’t take ourselves too seriously in anything, not without a generous pinch of salt, at least – even (or rather, especially) in dogs. We do know though that the history of the dog, domestic or not, is pretty old and amazing anyway – 33 thousand years, or thereabouts, on last count. 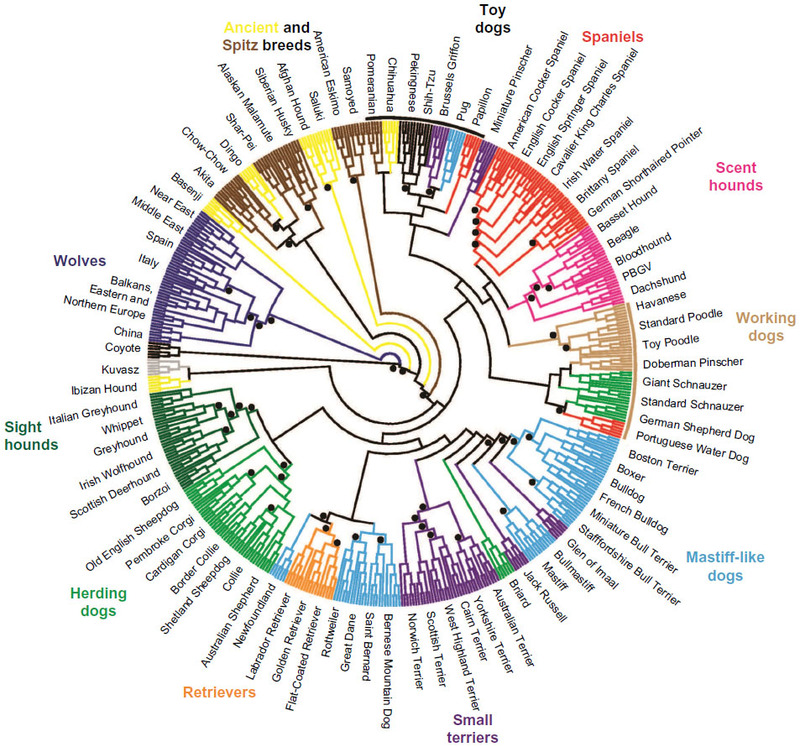 We do know that genomic studies have confirmed what we suspected – that some dog types are even older than tea! : the Asian group (Dingo, New Guinea singing dog, Chow Chow, Akita and Chinese Shar Pei), the Middle Eastern group (Afghan hound and Saluki) and the northern group (Alaskan Malamute and Siberian husky) are truly and factually ancient, genetically distinct from modern domestic breeds. First thing to remember then: no mastiff or molossian or molosser among them. 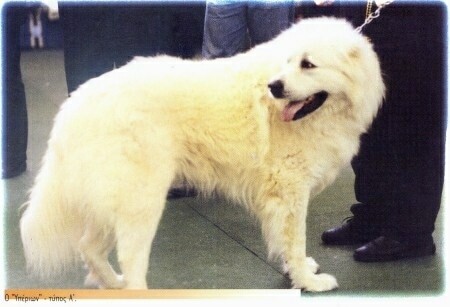 I can’t find the Tibetan ‘Mastiff’ (or rather Tibetan / Himalayan flock guardian) included in the above study. One paper suggested that the TM diverged from the grey wolf earlier than other domestic dogs. A follow-up three years later sequenced the complete mitochondrial genome of the breed and the findings suggested that it is in fact closely related to the Saint Bernard and the Old English Sheepdog. A shaggy-coated Himalayan (“Tibetan“) dog looking quite unlike a Tibetan ‘mastiff’ but rather like a Mioritic, a Komondor or a South Russian Ovtcharka, was used by Graham in 1892 to revive the Irish Wolfhound, so this type could have found its way into early OES strains. I have seen several more pictorial evidence of this rather peculiar – looking ‘Tibetan’ imports, something like a proto-Komondor, which is said to have been brought to Hungary by the Cumans. Interestingly, a rare strain of Greek LGDs that is used exclusively with goat herds presents a similar phenotype. Note: neither of these are clustered with the Mastiff breeds in the genome-wide analyses. We move forward a few thousand years from the emergence of the ancient dog types and we find the proto-type of modern ‘mastiffs’. Yep, these look like ‘true’ mastiffs. Massive dogs with brachycephalic heads, folds of skin and double dewlaps descending to their chests. Their thick short muzzles and converging head planes probably owed to the brachycephaly-causing mutation which appeared some time after domestication in the Far East. We must never assume that the ancient mastiffs were arrived at quite the same way we breed them today. Just as we must not assume that they were in general as heavy or as cumbersome and clumsy and, frankly, dysfunctional, as many, if not most, of our modern show specimens. While it’s certainly true that we should not look at the past through rose-tinted glasses, as many ‘old’ dogs (pre-pedigree era) were evidently poorly constructed, it’s also true that environment played a much bigger part back then than it does today so selection for fitness was much more ruthless. 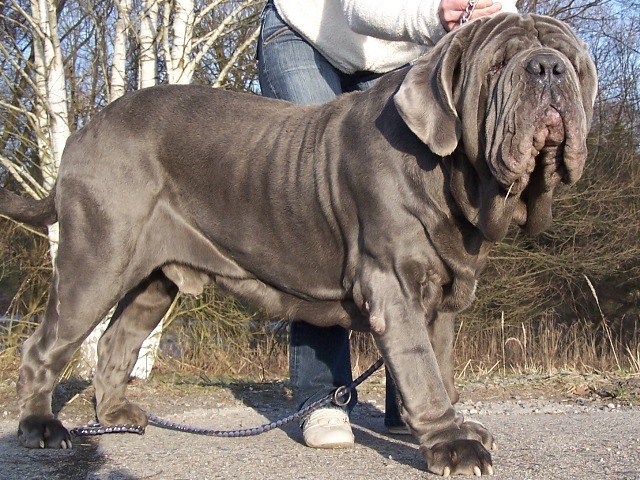 The Mastino was a much more moderate dog when initially ‘discovered’ – yet breeding for excess quickly transformed it beyond belief, beyond reason, beyond any chance of it being actually capable of a normal life, beyond any working ability, possibly beyond saving. Although I do hope they can be saved and it is still possible to save them, with proper crosses, if clubs catering for these disabled dogs ever wake up from their slumber to hear ‘their’ breed’s death rattle. The dog is too pliable, its genome offering too much plasticity for its own good – when its good relies on humans. There are some pretty messed-up people out there playing god – or Frankenstein – with dogs… We must not forget that modern breeds are mostly western-made and, well, modern – their formation as pedigree dogs does not go further back than the 19th-18th century. Before that there were just landraces, broadly similar phenotypes that freely intermixed and crossed back and forth with each other, and with wolves in some cases too, without genealogy records, pure breed designations and strict standards. They were loose type groupings where form was dictated by function, with a possible exception, perhaps, the coursing greyhound, which has a longer history of standardization of sorts, again, informed by use and function. So these few are the ‘pure’, or ‘real’ – meaning, morphologically most typical of the modern designation – mastiffs. Secondarily, other derivatives can be added to this elite party – such as the Boerboel, Broholmer, Cane Corso, the Dogo Canario and other humble bull-dogs and utilitarian bandogs. The French Bulldog, the Pug – they, too, are small ‘mastiffs’. The Boxer is a modified, elegant bull-dog – a derivative of the smaller bullenbeisser. 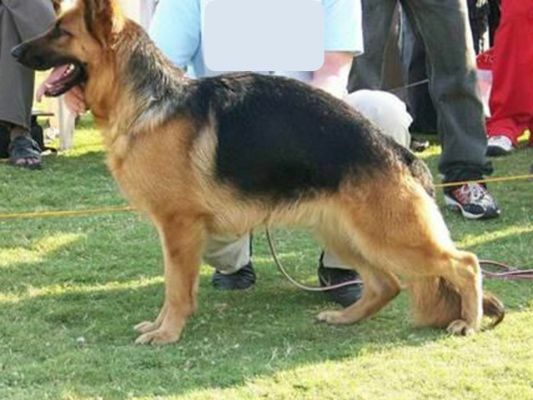 The Alanos, the Filas, are modified and multi-crossed breeds with mastiff elements but we cannot class them as true mastiffs, no more than mountain dogs and flock guardians like the Anatolians, the Central Asians, the Caucasians, the Mongolians, the Kangals, the Hellenic and other Balkan LGDs, the Swiss and Bernese breeds, yes, even the Saint Bernards (have you seen what they looked like originally? 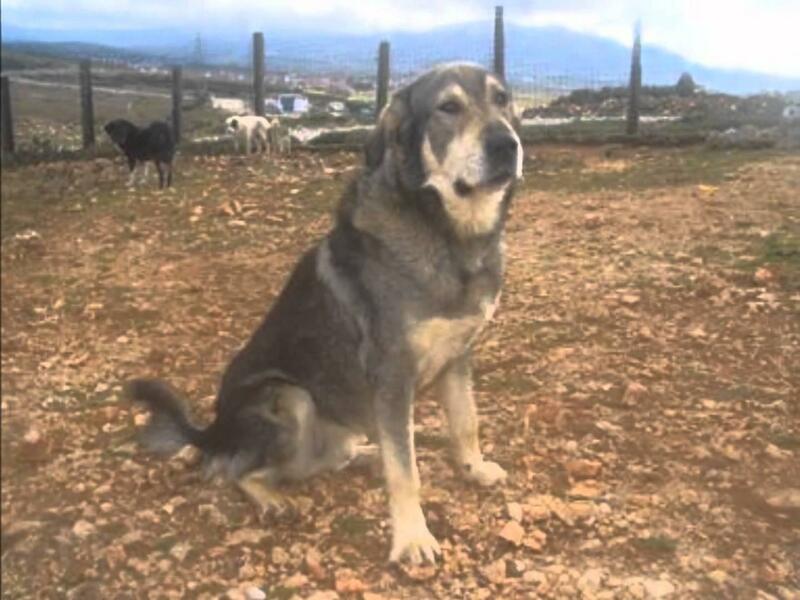 ), the Spanish mastins (despite their lofty appellations): they are not mastiffs, however overdone they have become by selection – and it’s as silly to call every large livestock guardian a “molosser”, which doesn’t actually mean a single thing, as it was silly to call every big dog a mastiff – to differentiate the chain dogs from the drovers and the curs and the whathaveyous or the thingymibobs from the hounds and the sheep herders. The term “molosser” is void: when it is not simply a mastiff synonym (or rather pseudonym, because molossers and mastiffs are not the same thing – and this has to be repeated until this tangled mess is finally resolved), it is used to describe nothing more than a big strong rough and rustic – or bucolic – guard dog, or even a cur by any other name, that is even more or less a lupoid mesomorph; it is obvious too that these breeds (mastiffs or so-called “molossers”, ‘pure’ or ‘moderate’) are either modern reconstructions or victims of the show era disease of exaggeration which metamorphosed their originally workmanlike physiques into tragic and monstrous blobs of lumbering mass that could never work as intended. They are in a sense a self-fulfilling prophesy, a cyclical return to Babylon via amplification of the features which millennia or at least centuries of practical and sensible use had smoothed over, even when these phenotypes actually did appear naturally through mutation, or inbreeding – in cases of isolated populations. Ancient peoples, much as contemporary humans, viewed the brachycephalic manifestations as an intriguing and prized novelty or gifts from the gods. 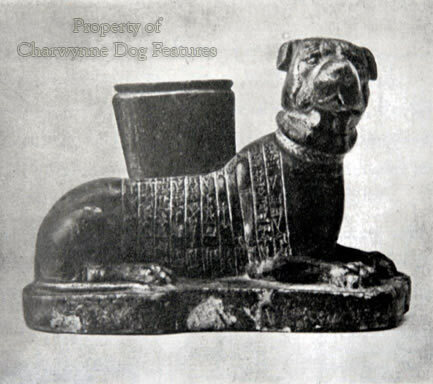 People always viewed dogs as toys or tools, to a large extend, like they do today. Given to us by divine grace to use and to have and do whatever we want with, like everything else in nature – that supposedly exists for the sole benefit of Man. So long these big massive dogs were kept in royal kennels to add status and instill fear, aid in the ceremonial hunts and the battles and pose by the throne, they were protected and pampered as monarchic and sacred symbols of power. But when it came down to the nitty-gritty of the ordinary man using dogs for practical tasks in the struggle for survival, the adaptations that shape form to follow function worked in the opposite direction – simply because, then as now, a very short-faced & heavy dog has crippling physical disadvantages in arduous working conditions, especially hunting, or defending flocks, where sustained performance is required. And nature ‘favors’ moderation. When they mixed their mastiffs with sighthounds for hunting or allowed nature to take its course with other dogs and survival of the fittest to weed out problems, as it happens in traditional hunting and herding communities, the adverse effects of the mutation became diluted or even purged. Now these, you will notice, are not massive like the Babylonian heavyweights: they are much more moderate dogs, without extreme brachycephaly, more suited to the athletic requirements of chasing large, fast and dangerous quarry – or being active, quick flock guardians like the aboriginal lowland Central Asian or Kangal type. Which brings us, nicely, into the neighborhood of the next phase. From China and Central Asia to Anatolia and Europe – via Greece. So who were the Molossians? Molossia was a region in Epirus, Northern Greece, characterized by a mountainous landscape. The Molossi people kept flocks of sheep which necessitated the use of dogs as guardians against the wolves and bears that still roam there. Wild boar too and deer frequents the ancient forests so you need the right type of dogs to hunt them. 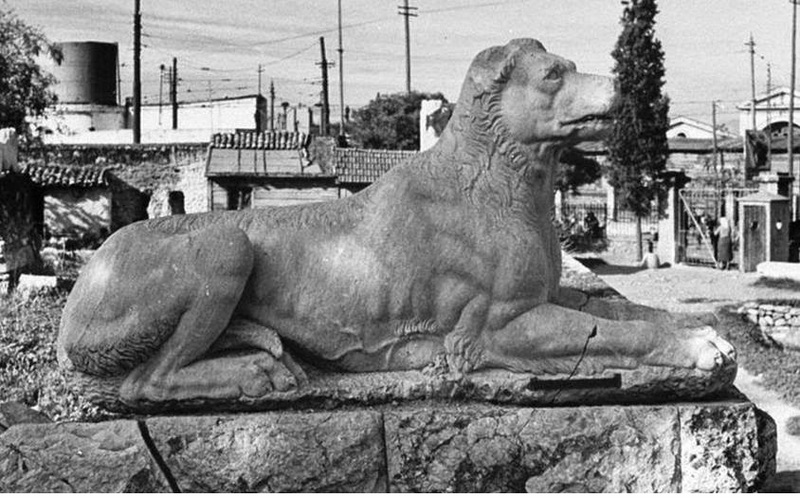 This dual purpose gave rise to a dual purpose landrace – as the ancient writers confirm: the Molossi kept two strains of Molossian dogs, with some used to guard their flocks and property and fend off the natural predators and some to hunt ; no doubt some dogs were good at both hunting big game and guard duties; both kinds would have also been useful to have at the lookout posts when there was danger of trespassing or invasion. The Molossian dogs were notorious for their fierce nature; to this day the contemporary Greek breeds are not be messed with: these dogs have battle scars from protecting their flock not just against wolves, but bears. Experience shows it is wise to keep the two strains separate: the LGD must stay with the flock at all times, have a very high defense drive and low prey drive, as to not give chase after quarry or fleeing predator – otherwise the dog would be very short-lived. Wolf packs often use the strategy of sending in a few attackers to draw any foolish dogs out, isolate and ambush them; if the dog gets cut off from the others and is stupid enough to run after the retreating wolves, it falls into the trap and is a goner. The hunting strains on the other hand have a very high prey and fight drive. They are keen and fearless to chase the quarry, usually boar or deer, and more prone to wander. So the hunting strains are kept around the house, often chained, or fenced in, and they are very good dual-purpose dogs, both to guard and to hunt big game. When tackling wild boar, too, the dog has to use wits more, rather than throw itself at the menacing tusks foolhardy, so their LGD heritage and equilibrium comes useful. It works both ways. It’s this combination of skills and traits that gives a dog the flexibility to use the best tactics in each situation and avoid serious injury, that gave rise to the superior, specialized and rightly high-prized boarhounds. There’s little doubt these Molossian dogs owed some of their heritage to the mountain dogs and LGDs that came over from Asia and no doubt they became locally adapted and further developed, both as loosely bred to type lineages or crossed with other strains to produce good hunting dogs, as classic sources inform us, for example crossed with the Cretan Hounds that were renowned hunters. So both the practice of maintaining a type existed in Ancient Greece but also the practice of crossing various types to produce another. 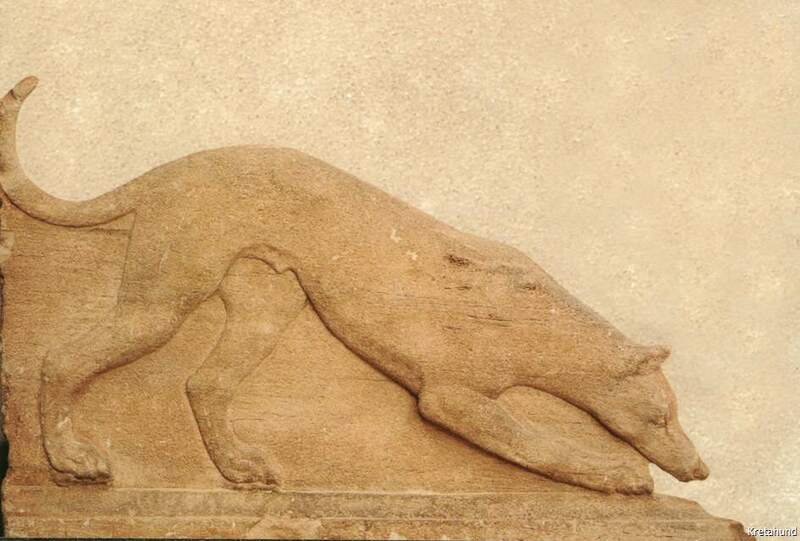 The prominent fast running hound of the era was probably the main ingredient in many of these crosses, together with flock guardians which were bred to suit local requirements all over Greece and known under different names. 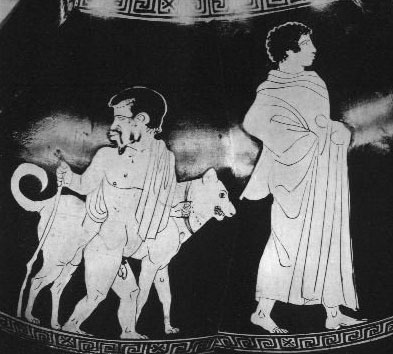 No less than sixty-five varieties of dogs were named in ancient Greek sources. To this day there is no true mastiff among them – and no herding breed either. Lo and behold – the prick-eared Molossian ! The Romans introduced these dogs throughout the Imperium, as the Greeks themselves had done when they were building colonies around the Mediterranean and beyond, in the Magna Graecia era. The Celts played a major part also, in the distribution and further development of various strains along their migratory routes. So, Molossians, Laconians, Cretans and other guardians and hounds found their way to the Iberian peninsula, Balearic islands, Massalia (modern Marseilles, in south France), as well as Britain and Ireland (See also Pytheas and his voyage). There is an oft repeated myth however,which needs to be laid to rest: several books refer to the supposed Roman procurator cynaegii, an officer in charge of dog procurement stationed in Britain (in the area of today’s Manchester or Norwich). This is another malarkey, stemming from the simple mistake of a single author, who replaced and swapped the letter g around with the letter c, so gynaecii (of women) became cynaegii (of dogs). The Roman “gynaeciorum”, from gynaecorum, originally Greek gynaikeion (building dedicated to women) was simply a weaving factory for female workers. Mastiff book authors, Bulldog book authors as well as some Great Dane book authors and others have perpetuated this myth, but that’s all it is. You can read more about it here. Today you will not find ancient Greece much credited for its influence and role in breed histories, but a lot of vague hypothetical references to the Phoenicians – mostly because Greece developed cynology quite late so its rather introverted and not very scientific in this respect, lacking still a major interest in funding proper historical study of its own dogdom. With a few exceptions, most (not all) such attempts seem to be rather narrowly nationalistic in inspiration and intent, perhaps in reaction to the exaggerated claims made by various neighbors, who are busy reinventing themselves and their national histories after the break-up of former Yugoslavia. The little that has been credited (accurately or not) to Ancient Greece comes mostly from external sources – primarily British and German. Italian breed histories -with some exceptions- don’t seem graceful enough to mention that there actually was dog breeding before Roman times, and in Spain we observe the same – ahem – zealous patriotism. It’s only natural perhaps that the rendering of dog breed histories tends to reflect nation state histories as modern states and pedigree breeds emerged almost simultaneously, but this seems to be changing for the better as genomic studies can’t be reigned in from revealing the truth and going beyond the borders, to the complex routes and waves of human expansion and movement. It’s quite astonishing that the ‘mistaken identification’ of the heavy mastiffs with the original Molossians continues to this day, and that the term ‘molosser’ has come to mean ( heavy) “mastiff”. Mastiffs are mastiffs, Molossians were (and are) mountain dogs and livestock guardians. It’s about time we corrected this old error, the “molosser” malarkey I alluded to in the title: it’s almost like a mad scientist’s invention…To put it simply: there’s no such thing as a ‘molosser’. The term is arbitrary, misleading, confusing and meaningless. It started with a muddled-up case of mistaken identity. The same sweeping generalizations have been told and retold about the Alaunts – colloquially and liberally labeling them as mastiffs and particularly of bull-dog type, while they were most likely an array of landraces and phenotypes ranging from Caucasian / central Asian livestock guardians to hounds of the chase and mastiff-type ‘butcher’ or grip-dogs (according to Gaston Phoebus at least). I’d have to write a novel to go through the whole story of how this confusion began and got established – and thankfully I don’t need to, as you can read about it here and here. Demonstrably then, there’s mastiffs and there’s Livestock Guardian Dogs (including the original Molossians and current breeds). And the Great Dane, definitely , most emphatically and evidently isn’t one of these. There’s a case to be made about the connection between the hunting version of the original Molossian dogs and some ancestors of the Great Dane, in ancient times and on the more recent occasion of the Suliot Dog cross to the bullenbeissers. But that’s for another day and another post. Previously we saw that the Great Dane isn’t a mastiff. Now we see that it isn’t a ‘molosser’ either. QED. In fairness, I would lean towards the view that the ‘label’ Molossian should be reserved, as appellation of origin, for the flock guardians of Greek and more broadly Balkan descent, in order to be more historically accurate and descriptive; if however we continue using the (even linguistically clumsy) term “molosser” to describe a whole category of breeds, then surely the only breeds that can be termed “molossers” are the mountain-type livestock guardians that are descendants, relatives or indeed progenitors, as the case may be, of the original Molossians: the Iberian “mastiffs’, the Anatolian flock guardians, the Ovcharkas, the Balkan breeds such as the Sharplanina, the Pyrenean mountain dog, the Maremmano, the Komondor, the Bernese and Swiss mountain dogs, the Caucasians, the Tibetan et al of this type – these are the true “Molossers”, the flock guardians – yes, even breeds that are classified in the Herding FCI Group One. I’m sure contemporary Greeks are delighted that such an international and important, widely (and wildly) used term derived from their ancient heritage, yet as it’s a case of mistaken identity, it’s better to give Caesar his due…Amicus Plato, sed magis amica veritas. 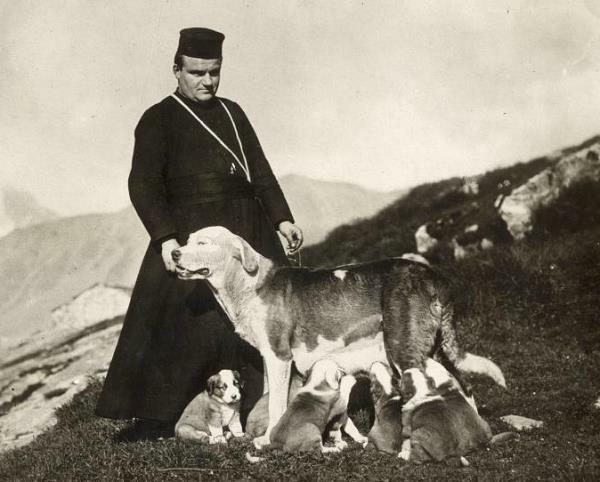 The Molossians, LGDs and mountain dogs are not ‘molossers’, they are not mastiffs! The mastiffs and the bull-dogs, the presas and the filas, pure mastiffs or derivatives and modifications, have their own heritage, this of the ‘broad-mouthed hound’ as Hancock designates them, the Babylonian, the British, French, Italian, Spanish and New World bull-dogs, grip-dogs, bandogs, chain dogs and war dogs, distinctive, heavy-jowled, loose-skinned, wrinkled, drop-eared, smooth-coated, round-headed, stout of limb, canes pugnaces and game-keeper’s night dogs, yard dogs, butcher’s dogs, bullenbeissers, catch dogs, alauntes de boucherie, dogues de forte race, tenacious, fierce, gruesome-tasked, bloodied, feared and revered, no matter what they were or still are known as, and excuse me if I left anyone out, they are definitely mastiffs or mastiff derivatives, they fought hard, they served us faithfully, they deserve to be known by their own heritage and mastiff title, not by the generic, vague and meaningless pseudonym ‘molossers’. The same distinctions apply today as they did on the mountains of ancient Molossia. One strain for the flocks and one for the hunt. And although these landraces and phenotypes have common origins, even if they did emerge from different wolf-subspecies, and derived from crosses with each other along the long process of the transition from hunting-gathering to transhumance and the development of agriculture, and subsequently combined and mixed throughout history, their traits and form, shaped by function, separate them very clearly. To be historically and cynologically more accurate, therefore, we should discriminate and apply the two meanings and terms appropriately, as they aren’t the same. What, then, are the requirements for inclusion in the ‘molosser’ category? Answer: definitively, brachycephaly, large size and mass. All the true ‘molossers’ (that are not in fact molossers, i.e. 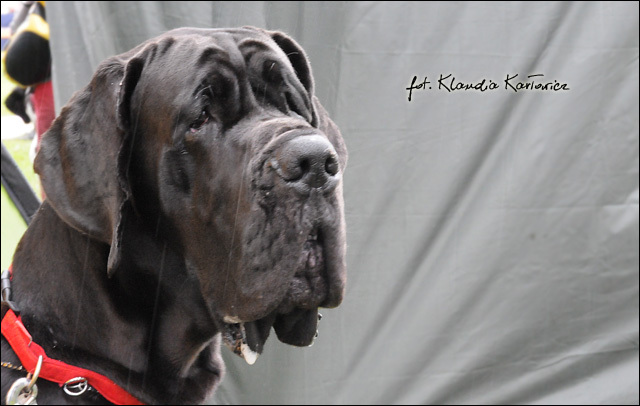 molossian LGDs, so we should drop this pseudonym and just call them mastiffs!) are more or less brachycephalic, with a large head to body ratio. And what are the physical characteristics of brachycephaly? A shortened and correspondingly broadened cranium and snout, size of head large in proportion to the body and converging axes of skull to muzzle. Note: we don’t find any dogs with parallel planes or diverging head planes among the ‘pure’ molossers’ (more accurately: ‘pure “mastiffs”). And needless to say, we don’t find any dolichocephalic breeds among the ‘molosser’ / mastiffs. Mastiff type and dolichocephaly are mutually exclusive. When any of such characteristics (dolichocephaly, or parallel or diverging head planes) are present, then the dog cannot be termed a mastiff; or a molosser; or a Molossian! And that’s the second thing to remember. It becomes quite obvious and clear, that the whole premise upon which the FCI Group II is based and structured, is not very well-supported. The group is erroneously called Pinscher & Schnauzer, Molosser & Mountain type breeds. The Mastiff breeds are not a sub-category of the Molossers at all – they are in fact, older than most of, or at least parallel and contemporary to, the Molossers (more correctly, Molossians). As hunting and migration predates settlement and agriculture and as we see the first true mastiff prototypes emerge around 2 thousand years BC in Mesopotamia, it’s only fair to revisit this classification and redress this inaccurate assumption that somehow the mastiff is a molossian sub-category. To put it bluntly – as blunt as a true mastiff’s snout – if you shave a LGD you won’t find a mastiff underneath the hair. The original ‘molossers’ – the Molossians – do not display the brachycephaly that was no doubt introduced to some of their descendants and others through crosses with the Pug and with other predominately brachycephalic dogs. The group could be more rationally reformatted and renamed as Pinschers & Schnauzers, Mastiff types and Mountain (or Molossian) LGD types, for example. The Mastiffs have at least four thousand years documented history, the Molossians at least two and a half. Isn’t it about time we caught up and coped on? Furthermore, the idea that, crossing any other dog to a mastiff, the progeny is also a mastiff, is rather silly. It’s quite laughable, actually, from an elementary genetic point of view. Yet that’s what some cynologists are more or less saying: everything that ever caught a whiff of a mastiff, had a brief dalliance with, or had a distant stocky ancestor becomes a mastiff, for some ‘molosser’ fans. Where did that idea come from? If we cross a Bulldog with a Whippet, is the result a Bulldog? And why not a Whippet? Why not both – a bull-whip ? 😀 Truth is, the children from this marriage would be neither bulldog nor whippet. They would be in-betweenies. Some would of course be closer to the bulldog phenotype and some, perhaps, depends how the genetic cookie crumbled, closer to the whippet phenotype. But none of them would be bulldogs and none of them would be whippets, in genotype. First crosses are usually mesomorphs. 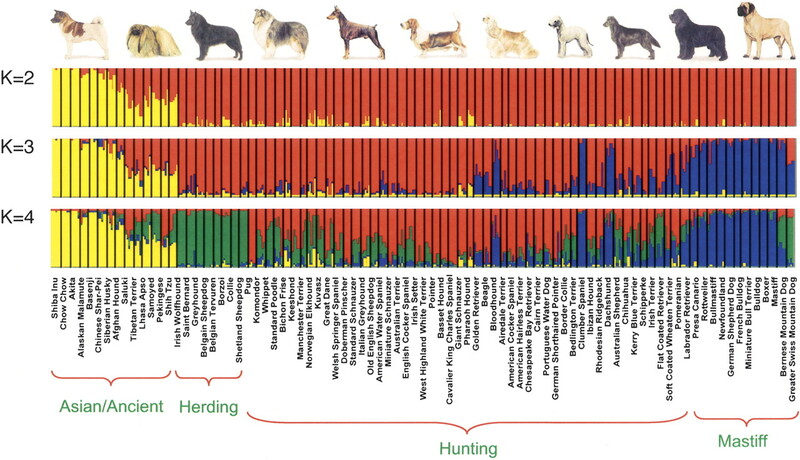 (We need to remember here that it is a very small part of the dog’s genome that is responsible for all the morphological variation we observe between types and breeds and individuals). So that’s the third thing to remember: unless you do a backcross, to either parentage, to reinforce and fix in place this or the other genotype, and continue to do so until you regain the desired phenotype of the one or the other side of the pedigree (it doesn’t take long, actually) your breed will be neither. To be bulldogs, or to be whippets, we would need to take that F1 and cross them back to the bulldog or to the whippet breed. And repeat, for three or four generations, usually. We arrive then at the majority of the breeds that are found in the middle between these two ends of the morphological spectrum and that are neither greyhound-like nor mastiff-like. What are they? They are the in-betweens. They are the vast majority of moderate, normal, natural (as in, originally wolf-like) types. They are the various mesomorphs. Some of them are closer to this end, some to the other, but they are neither. Sighthounds are ectomorphs. Mastiffs are endomorphs. Ectomorphs are dolichocephalic. Endomorphs are brachycephalic. Mesomorphs are largely mesaticephalic. They are in the middle. As this ‘middle’ has limits on either end, some mesomorphs are more closely neighboring the mastiffs and some are closer or even adjustent to the sighthounds, as is the case with our Great Danes, who have mostly sighthound ancestry, with a sprinkling of pre-Pug mastiff in one version (the Danicus) and bullenbeisser x Suliot in the other (the various Germanicus). So what is the Great Dane? The Great Dane has a long, dolichocephalic head with narrow skull. The Great Dane has parallel planes of skull and muzzle and a flat top skull. The Great Dane has an open cranio-facial angle. The Great Dane has a scissor’s bite. The Great Dane has a long neck, long limbs, endurance-galloping model structure and a retracted underline. The Great Dane has tight skin. The Great Dane has oval bone. Everything in the Great Dane standards, describes a HOUND. And even if everything else was still inconclusive (it isn’t, it’s actually quite obvious and clear, but for argument’s sake) – look at the skull. Conclusion: the Great Dane is not a mastiff. FACTS: the breed’s morphology, head type, cranio-facial angle (‘stop’), body profile & body type, original breed standard descriptions, history, original function, genetic make-up, cranium, skeleton, and the very clear and specific instructions left to us by the breed’s founders leave no room for misunderstandings: the Great Dane is neither and mastiff nor a greyhound. We already knew that, from the genetic analyses: they tell us, confirming what is known about the breed’s history, they categorically state that the breed is a hunting breed. It does not cluster with the mastiffs. Morphology confirms it. So what, I ask, is the Dane doing in the ‘molosser’ division and even worse, in the mastiff category of the molosser section in group II, when both genetically and morphologically it has no business there? We are seeing constantly the amount of damage this incorrect classification is inflicting upon our breed, which is driven, by unscrupulous ‘greeders’, pulled, pushed, shoved, melted, inflated, distorted and disfigured, to become a mastiffoid. To abandon it’s true origins, soundness and fitness for purpose. Surely we can’t allow this destruction and intentional debilitation to continue. Surely our dog-loving community can’t afford another tragedy like the Mastino to happen. Surely reason must prevail. Surely the powers that be are going to wake up, before it’s too late ? Why isn’t the Great Dane designated its own sub-division, such as, for example, the Black Russian Terrier (a breed that has been created by using, mainly, Airedale Terriers, Caucasian Ovcharkas, Newfoundlands, Rottweilers & Standard Schnauzers) or the Dutsch Smoushond? That is a very good question, don’t you think? There is at least one more problematic inclusion in the mastiff section (not to mention the Cão Fila de São Miguel…) And, not coincidentally, it’s another breed that not only is another hunting breed, but also another boarhound: the Dogo Argentino. DOGO ARGENTINO: THE RIGHT GROUP! The FCI (Fédération Cynologique Internationale) groups together around three hundred and sixty breeds of dog into ten groups. 4 of these are […] defined as hunting dogs. The Dogo Argentino is not in any of these groups, rather it is in group 2, classified as the “Molosser” sub-group. “Molossoid” is a concept that has come down to us from antiquity and is associated with the meaning of “enormous, solid, with a large head, etc”. The Dogo Argentino does not need these attributes. When, in 1974, the Dogo Argentino under the direction of Augustin Nores Martinez, obtained recognition at the Fédération Cynologique Internationale, it was placed in what was then Group 5. This Group brought together principally the celebrated Nordic breeds (such as the Siberian Husky, the Alaskan Malamud, etc. ), and also some special hunting dogs. In the front line the Pack Dogs, for big game hunting, such as the Rhodesian Ridgeback, a support dog for hunting lions in Africa. This placement of the Dogo Argentino in a Hunting Group corresponds, as we have said, with a fundamental intention of the breed’s creators (Antonio and Agostino Norez Martinez), who never expressed any doubts about whether the Dogo Argentino was a hunting dog, especially a pack animal, that brought together various variants into a single one. In 1985 the Fédération Cynologique Internationale partially modified the classification of its Groups and the Dogo Argentino suddenly found itself in Group 2. It is still not know whether this occurred through an actual will or through an agreement with the Federación Cinológica Argentina, which being the correspondent organisation in the country would have to have been consulted. Put briefly, the Dogo Argentino became a Molosser, a category whose characteristics do not correspond with those of hunting breeds. For some breeders and exhibitors of the Dogo Argentino, this new placement was appropriate. In this way they were trying to reflect the inclinations of a public that looked more fondly on breeds of what were mainly companion dogs. In Europe, dogs with characteristics that corresponded with those of the Molossers quickly earned themselves a bad reputation. They were classified as dangerous or fighting dogs. Consequently they were included on official lists that banned their possession and breeding and very high special taxes were applied. The already mentioned and without doubt comparable Rhodesian Ridgeback enthusiasts were more astute. Given the repositioning of certain breeds in the Fédération Cynologique Internationale, they demanded the return of their dogs to a hunting group. To their joy they were positioned in Group 6. In the Europe of the time, the ratio of the Dogo Argentino population to the Rhodesian Ridgeback was approximately 1:1 (according to the reports and entries in all the shows, not just by the great institutions). Now the numbers of the Rhodesian Ridgeback are vastly superior to the Dogo Argentino. The Rhodesian Ridgeback has remained the dog it always was. By definition the hunting dog is in the so-called “Dangerous Dog” category. At shows the judges are not inclined to consider it necessarily a powerful dog but simply a working dog. in this way its versatility is documented and it is no longer subject to popular myths. No-one should fear that the Dogo Argentino will be shunted off to the border with hunting dogs. No Dogo Argentino needs to hunt actively but it can and must be able to do so officially when it has the chance. I estimate that around 1% of the Rhodesian Ridgebacks are used for hunting purposes; no more than 5% of all the Setters or Retrievers hunt and, for example, only 10% of all Pointers are owned by hunters. But the fundamental and conclusive factor that must be taken into account is that in Group 2 of the dogs of that time there is no hunting breed. The Author Otto Schimpf is the International Judge in the FCI structure – Groups 1, 2, 3, 5, and 6; and he was the first Dogo Argentino Judge Specialist (1979) in Europe. We can draw quite a few alarming parallels surely, with the Dogo Argentino’s plight. A lot of damage, and of a very serious kind, especially when we consider the consequences of the inclusion of that breed in various ‘dangerous dog breed’ lists has had on its population, as well as breed type deviation from the true boarhound model, has been inflicted on these dogs. They are suffering the dire physical consequences of the hypertype trend, making them less and less suitable for their original function. They are suffering a decline in popularity and loss of diversity. And foolishly, because they are in Group II, alongside other protection breeds, some of their owners are engaging them in bitework sports (as some do with our Great Danes), a rather precarious practice for a breed already in ‘dangerous dog’ lists. And a trend that is shaping their character and behavior away from what is desirable for our breeds. If we consider the handling of the Rhodesian Ridgeback’s case, one wonders, why the double standards? Why was the Argentinian breed treated differently than the Rhodesian? Why not create a Large Game Hunters subdivision, or even Group in its own right? Aren’t these faithful servants, breeds that have offered such enormous services to mankind, worth it? Aren’t they equally worthy of their own place in cynology, as the Dachshund? Would it be too much to ask, to classify them correctly and properly, in a Hunting Group? I personally think it’s not only fitting and appropriate, it’s mandatory, if we were truly to preserve and safeguard their heritage and their identity. 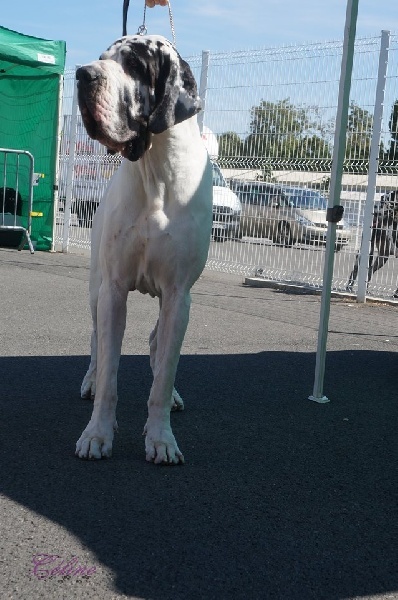 Historically, genetically, morphologically and most importantly, if we mean to follow the guidelines set forth in the FCI’s instruction document to ensure that dogs are Fit for their original function and not just pay lip service to it, the classification of the Great Dane and the Dogo Argentino presents an anomaly which is imperative to be corrected. Cynological integrity and reasons of welfare demand this redress, imperatively and urgently so. Neither breed is a mastiff. Neither is a ‘molosser’. Neither is a Molossian. They are both the result of crosses between hunting breeds and their original function was the hunting of large game. They are hunting dogs. They are boarhounds. As such, they need to be protected from the hypertype trend that is truly endemic among mastiff breeds. Yes, the hyper-type trend itself also needs to be reigned in, even amongst true mastiffs. But the priority should equally be to do the simple most effective and immediate thing – remove the non-mastiffs from the wrong group, to give them a chance of escaping the selection pressure which is damning them, deforming them and transforming them into caricatures and disabled has-beens. To save them, essentially, from inevitable destruction, that is already happening, unchecked and uncontrollable, killing them, damning them, dooming them and condemning them to no less than eventual extinction. The Great Dane and the Dogo Argentino need to be re-classified appropriately, in a way that truly reflects their type, history, form and original function. The Mastiff is not brachycephalic, it is mesocephalic! Many erroneously make the mistake due to temporal muscles that give the impression of a brachycephalic head. 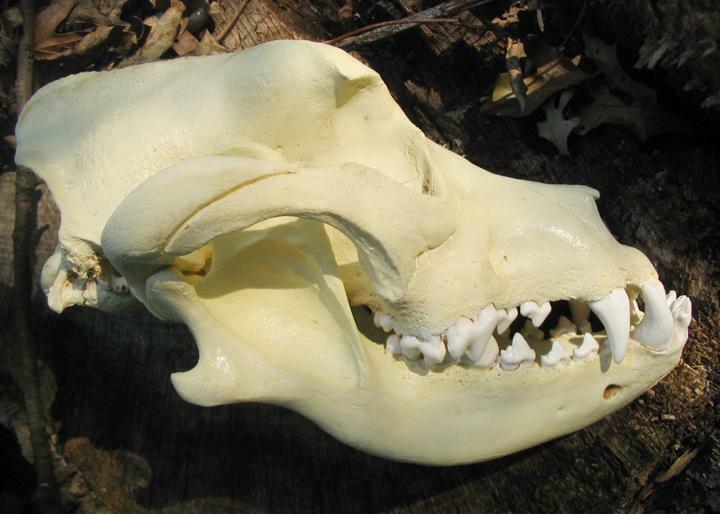 The actual bone structure of the Mastiff skull is mesocephalic. It’s not a mistake – it’s simply maths. A broad massive cranium with the muzzle measuring half the length of the skull as given by Mastiff standards is by definition brachycephalic according to the cephalic index. A brachycephalic skull is relatively broad and short (typically with the breadth at least 80% of the length). Dog breeds such as the pug are sometimes classified[by whom?] as “Extreme Brachycephalic” The Mastiff skull proper does not represent the ratios needed to be labeled brachycephalic. Temporal muscles upon maturity give the Mastiff head the false impression of being brachycephalic. Brava. The problem, of course, is the constraints of artificial kennel-club designations. The definition of Molosser is, in my opinion and experience, now a cultural one, which does not have much of a relationship to the historical designations that brought us here. When I started publishing my Modern Molosser magazine, we ticked through the FCI Group 2 list, and soon found that a tight nucleus of breeds considered themselves Molossers — Mastiffs, Bullmastiffs, Dogues de Bordeaux, Mastini Napoletani, Cani Corsi, Dogo Argentinos, Filas, Boerboels, Tosas and Tibetan Mastiffs, even though, as you correctly point out, TMs are somewhat of an odd man out as LGDs. Interesting, and perhaps not surprisingly, these are the same breeds that gravitated toward Christofer Habig’s influential Molosser Magazin in the 1980s. 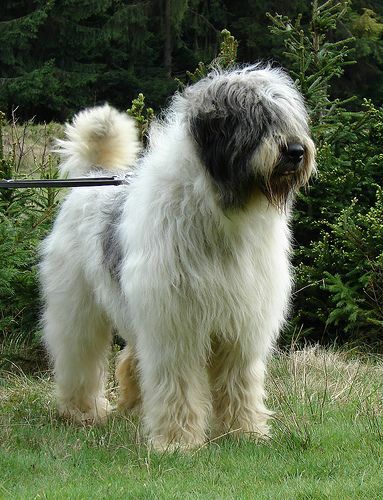 Other breeds — including Danes, Leonbergers, Bulldogs, etc. — were horrified at the label. The dividing line appears to be function as much as form: Breed cultures that consider themselves Molossers are those whose dogs have some or all of the morphological traits associated with Molossers, but also who are comfortable with their breed’s designation or original historical purpose as a guardian breed. Again, not necessarily historically accurate, but it seems to be where the dog cultures of these breeds have taken us. However, there is by no means agreement that the Ridgeback belong in FCI Group 6, “Scenthounds and Related Breeds,” especially when one considers that there is not a drop of documented Scenthound blood in the Ridgeback. The Ridgeback is a breed built on Greyhound and Deerhound blood, with a little long-legged Bulldog, some Collie and Terrier, and later Dane thrown in for good measure. (The De Beers archives in South Africa have documented proof of crossing the ridged dogs to Danes to increase size.) The Ridgeback is in the far reaches of Group 6, the very last category (“Related Breeds”), along with the Dalmatian, largely because our modern Ridgeback standard was modeled after the Dalmatian standard (in some sections lifted wholesale), and FCI didn’t know where to put them, either. While this does split along European/American lines, there are some of us who argue that the Ridgeback is a modified Sighthound, a big-boned lurcher if you will, that sacrificed some speed for a bit of biddability and versatility. Just as you point out that there are “pure Molossers” (see https://modernmolosser.com/articles/what-is-a-pure-molosser/), there are “pure” Sighthounds, and Ridgebacks aren’t one of them. (But neither, for that matter, are Pharaohs and Ibizans, which, despite their morphology, hunt by scent … ) But I would argue that if FCI Group 2 makes room for the Irish Wolfhound, which in its modern reconstitution is essentially a Deerhound/Dane cross, then it ought to be expansive enough to include the Ridgeback. So we are back again to the discussion of the limitations of registry classifications. Having the Ridgeback in Group 6 does do damage if the breed’s fluidity of form and Sighthound influences are ignored in terms of a more Foxhound-looking dog as opposed to a running hound. Thank you for an invigorating and insightful discussion! Thank you Denise. I would personally support an across the board restructuring of the FCI classification where when morphology is inconclusive or in-between (and there are many such cases), original function would be applied as the deciding factor. I would support a Large Game Hunting breeds group – and if anybody thinks that such breeds (like our Danes and Argentinos and Ridgebacks and Wolf – and Deerhounds et al) don’t deserve it, then certainly Dachshunds don’t deserve their own group either. Am I advocating a new group? Yes, if that’s the only satisfactory solution. But a compromise could be found in incorporating such a sub-group for big game hunters in Group 10 – as none of these breeds actually hunted by scent. So that’s where they naturally belong. (The Pharaohs and the Ibizans are primitive hounds using all their senses in game-finding so they are correctly in FCI Group 5). I doubt that any restructuring is going to happen though, until public consensus applies pressure. And that is bound to happen via education, and when more and more people realize the catastrophic consequences wrong classification has upon their dogs – upon type and structure and soundness of body and mind. I find merit in any post that is intelligently argued, even if I do not agree with every point. In the case of Molossers, I appreciate that purists use the term in its historical sense, and so to their minds this disallows Mastiffs, among others. In my magazine, I use the term in its cultural sense … those breeds, “pure” Molossers or derivatives, who see themselves as having some, but perhaps not all morphological elements of a Molosser (heavy, wrinkled skin, great bone and substance, foreshortened muzzle etc), and who embrace their identity, either current or historical, as a guardian breed. I understand and respect the historical definition; I just think the M word has evolved in modern times to be a bit more elastic — even if purists find that distressing. People are very protective of their breeds and their breed culture, as they should be, and they write the narrative of that breed. Most can’t be told what their breed is if they think otherwise. I can just hear reaction of the Deerhound folks to the suggestion that they move from Sighthounds to a Large Game Hunting Group, because it is about context, isn’t it? They would want to be in a Greyhound context, not amid non-Sighthounds like Dogos or even Ridgebacks (which definitely don’t have enough Sighthound cred), for legitimately fear that being in such company would negatively impact their breed type. Thanks again for the stimulating discussion! Fortunately in AKC and CKC classification the Great Dane is in the Working Group which is a bit of a mish-mash and includes Dobermans, Tibetan Mastiffs, Siberian Huskies, Standard Schnauzers and true mastiff types too. Still, many think Danes should be in the Hound group. so much that you’d rather classify them as Hounds? maybe you should read the entire content of this blog more carefully. First of all, the result of crossing a mastiff and a greyhound is genetically and morphologically neither a mastiff nor a greyhound – and that is precisely the phrase included in the original Great Dane standards to identify the unique position of the Great Dane in the dog breed spectrum: neither a mastiff nor a greyhound (but occupying the middle ground between these two extremes). Secondly, the Great Dane’s country of origin is not Germany but Denmark. Deutsche Dogge or German Mastiff = Great Dane. versatility as a breed the world over!